Will Haringey’s ‘Corbyn Council’ choke off housing supply? A tension between a wish to redevelop land and a desire to re-assert the control of the local state lies at the heart of Labour politics in London. Variations on that theme can be found all over town. One example will soon emerge in the impending mayoral selection contest in Newham. Another has been apparent in the flight of Lewisham councillors from the New Bermondsey regeneration scheme following dubious media claims. And, of course, the most vivid is manifested in the successful campaign of Haringey Momentum and various non-Labour allies to ensure that the borough’s next Labour administration will be very different from the present one. Exactly what its political character will turn out to be is of interest to many, including Labour politicians elsewhere, potential investors of private capital in the borough and Conservative-supporting media, whose unfriendly depictions of the “Corbyn Council” elect so far are likely to be just the start of a long-running series. There is talk of low level tussling between different Left shades and vintages over what policies to follow and who the next council leader might be. I’ve no clear idea how all that will pan out. But there are indications that, whatever configuration eventually prevails, a strand of opinion firmly holds that the council should be less obliging in its dealings with the private sector and more wary of collaborations with it. One example is a recent Facebook exchange between outgoing Labour councillor Stuart McNamara and his colleague Zena Brabazon, an experienced Labour member who, according to some accounts, will have a significant influence on what happens next. McNamara, who announced his impending departure with a remarkably hostile open letter to council leader Claire Kober (who is also standing down), reflected on the collapse of out-sourcing giant Carillion and reports that another one, Capita, which runs many services in Barnet, could be in trouble too. Brabazon was citing two development deals entered into by the current administration. Argent Related is a company formed by Argent, developers of King’s Cross, and Related, a US property firm. 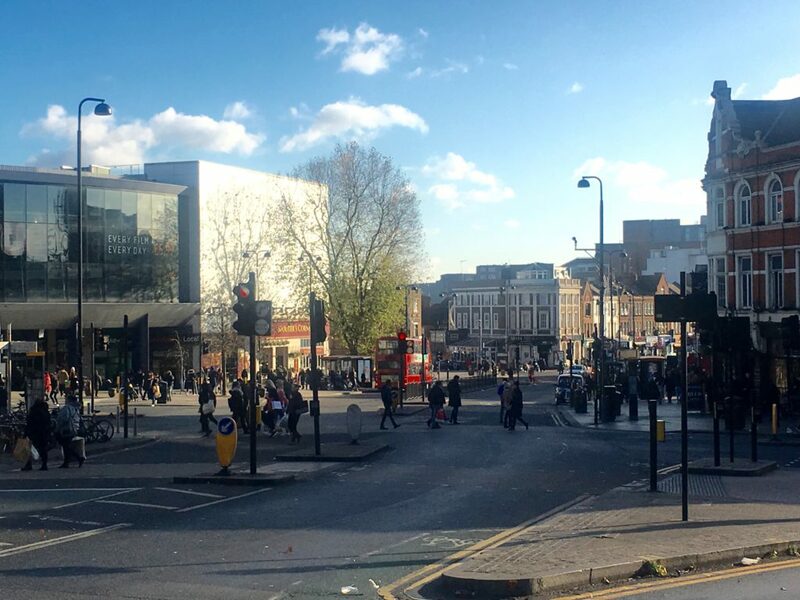 They signed a development partnership with Haringey last April, which promises 900 new homes (some for market sale, some build-to-rent, some shared ownership), retail premises and a health centre as part of the ongoing regeneration of Tottenham Hale. Love Lane is council-owned housing estate to the west of Tottenham High Road, near the Spurs stadium. Residents there are already being rehoused in advance of a demolition and rebuild scheme to be undertaken by Lendlease, though not as part of the HDV they would have formed 50% of had Momentum and the rest not intervened. What did Brabazon mean by “We have a lot to do?” By email I asked her if her comment indicated a desire on her part to stop the redevelopment of Love Lane and the Argent Related project at Tottenham Hale? If so, was such an ambition widely shared among fellow Labour candidates expecting to win seats in May’s elections? Was stopping those two projects under consideration as an objective for the next Haringey administration? Brabazon replied saying she had no comment. I should probably have also asked her if, rather than trying to stop those two developments, the “Corbyn Council” might seek to renegotiate them, perhaps to increase the amount of social housing promised. How much leeway for that exists I do not know, but for an incoming administration to seek to vary the terms of development permissions granted under its predecessor, even one formed from members of the same party, is not unknown. Time will tell. Other pointers to a possible stance on housing development to be taken by Haringey after May emerged at a recent meeting of the council’s Labour-chaired planning sub-committee and in its aftermath. Permission was granted for a scheme called Haringey Heartlands in the Wood Green area, but not without criticism from Councillor Peray Ahmet, a former supporter of the HDV who changed her view on it, was re-selected for her ward and recently resigned from the cabinet. Ahmet, Kober and sub-committee chair Natan Doron, another councillor who will be standing down, later engaged in sharp Twitter exchanges. Ahmet suggested that obtaining the maximum number of affordable homes from planning deals had not always been a high enough priority. Kober and Doron took exception. Kober said that the affordable element in Haringey Heartlands had risen as a result of negotiations between the developer St William (part of the Berkeley Group), her cabinet member for housing regeneration and planning Alan Strickland (another councillor soon to depart) and Sadiq Khan’s deputy mayor for housing, James Murray. The relevant committee papers show (on page 53) it was agreed that 35% of the new homes will be affordable, of which 74% will be of the “intermediate” variety designed for low-to-middle income households and 26% will be for “affordable rent”, which the Mayor and Murray want set at the lower end of the allowable scale across London generally. They flag this by calling it “London affordable rent”. The 35% figure suggests that Murray’s “threshold” mechanism came into play. The spat throws into relief an aspect of getting housing built that tends to go ignored amid the wildfire “housing crisis” polemics that so fog the air these days. Cries from the Protest Left that councils ought to be more tough on developers tend to overlook the fact that developers can get tough too and walk away from any deal that doesn’t suit them. Where would that leave the local authority in question? Answer? With no additional housing at all, affordable or otherwise. Planning deals have that name for a reason. They are arrived at through negotiations, trade-offs, the weighing up of pros and cons and a settlement then achieved – or not as the case may be. Pledging to “get tough” with developers might please activists and well-housed voters who are happy with the way things are, but would risk generating fewer new homes, including affordable ones, and other “planning gain” outcomes, such as better public realm, than might otherwise have been the case. Ahmet’s comments about Haringey Heartlands can be helpfully assessed in the context of Haringey’s housing delivery record overall. Conveniently, Trust for London has just tweeted GLA data for the borough in the three years to 2015/16. These show that 36% of housing completed in Haringey during that period was affordable of one type of another, the fifth highest rate in London. The number of such homes was 604, the 17th highest out of 32. Not too bad. If the Corbyn Council decides to be less friendly to developers than the Kober one and to insist on higher affordable percentages or not do business at all, it will be a re-assertion of local state control at the expense the redevelopment of land – a clear statement of where it stands on the tension between those things described above. The loudest cry of the anti-HDV campaign was not against housing shortages but against “privatisation”. Those who do next lead Haringey will naturally hope for a Corbyn government under which local authorities would have greater freedom to borrow to build homes themselves. Even Tory boroughs would welcome that. A Corbyn government, however, is far from guaranteed. And just as Labour’s general election manifesto seemed more concerned with re-nationalisation than with reducing poverty, so the Corbyn Council could end up more pre-occupied with thwarting private developers than with housing its residents. Would that be a progressive priority? THANK YOU for reading this article. If you value the type of journalism On London provides, please pledge whatever you can to its all-or-nothing crowdfunding campaign.